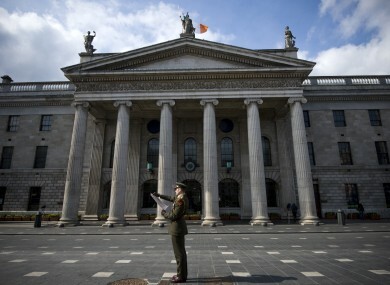 A READING OF the Proclamation and a laying of a wreath by the President will form part the ceremony planned today to mark the 98th anniversary of the 1916 Easter Rising. Preparations are already under-way for the centenary commemorations in 2016, which a member of the British Royal Family could potentially attend. Queen Elizabeth II hinted at it in a speech during the recent State visit to the United Kingdom by President Michael D Higgins, with the Taoiseach saying he would like her to attend. We want to know what you think: Should the Royal Family attend the centenary commemorations of the Easter Rising? Email “Poll: Should the Royal Family attend Easter Rising centenary commemorations?”. Feedback on “Poll: Should the Royal Family attend Easter Rising centenary commemorations?”.